Photograph of the town market in Lipa, circa 1903. The photograph above shows the market in the then-town of Lipa circa 1903. The picture was taken from the public domain publication entitled “Official Handbook of the Philippines,” which was printed and made available for distribution during the Louisiana Purchase Exposition which was held in St. Louis, Missouri from April to December 1904. 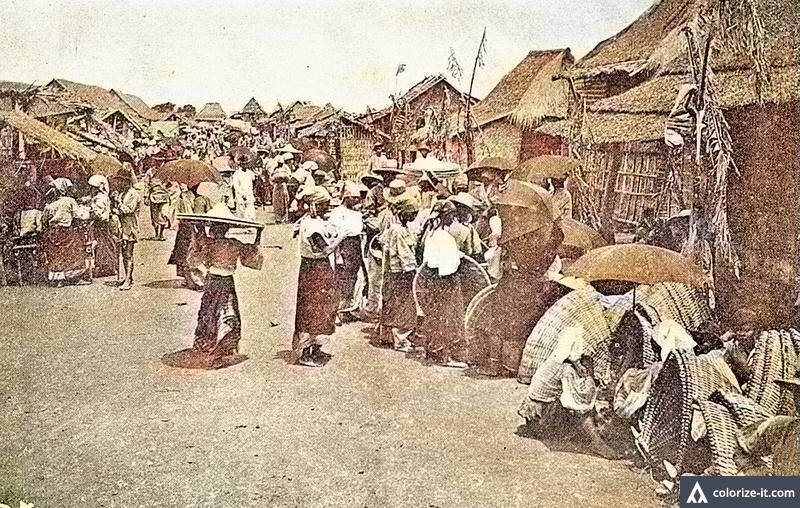 The picture was part of Volume I of the handbook, which was entitled “Description of the Philippines.” It was simply captioned “Market, Lipa.” It has been enhanced using graphic editing software to improve quality and then colorized courtesy of Algorithmia.